PowerPoint can be a serious graphics tool if you unleash its power. 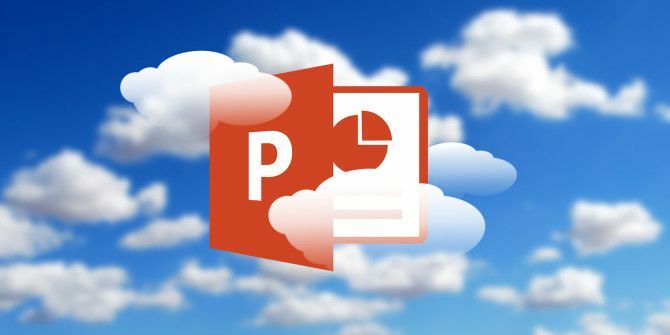 There are enough options that can help you create the perfect presentation 10 PowerPoint Tips for Preparing a Professional Presentation 10 PowerPoint Tips for Preparing a Professional Presentation Use these Microsoft PowerPoint tips to avoid common mistakes, keep your audience engaged, and create a professional presentation. Read More . One of the ways is to combine text with the right images—or even better, insert a picture inside a block of text to “color” it using the image. Inserting a picture inside a block of text in PowerPoint won’t be appropriate for all slides. Try it on the opening or closing slide to stylize the main topic. Go to Ribbon > Insert > Text Box and draw a text box on your slide. From the Home tab, select the font you want to use. Choose a thick font so that more of the picture is visible inside the text. Type your text within the text box on the slide. Set a large font size. Select the text on the slide. This also displays the Drawing Tools tab on the Ribbon. Once you’re there, PowerPoint gives you two ways to fill the text with a picture. Method 1: Go to Drawing Tools > Format > Text Fill > Picture. Choose your graphic from a file on your desktop or from an online source. Method 2: Right-click on the selected text and click on Format Text Effects. Go the first option (Text Fill & Outline) under the Text Options. Choose Picture or Texture Fill and then choose your graphic from a file on your desktop or from an online source. You can change the typed text, the font, the font size, and any other attributes even after inserting the picture. Also, the Text Options give you lots of room to stylize the picture within the text. For instance, you can set a transparency level with the slider and also offset the picture so that the right area is visible within the text. I have been trying every angle I could think of the get this in Publisher. Never even thought of looking in Power Point. A simple copy and paste does the trick. Thank you SO MUCH. I have been trying every option I could find to get this into a Publisher document I have been working on. It's not an option in Publisher. I never even thought to look in Power Point. Just a simple cut and paste of text does the trick. Cool trick, especially if you have a tiled image to use - thanks!